Messenger bags. 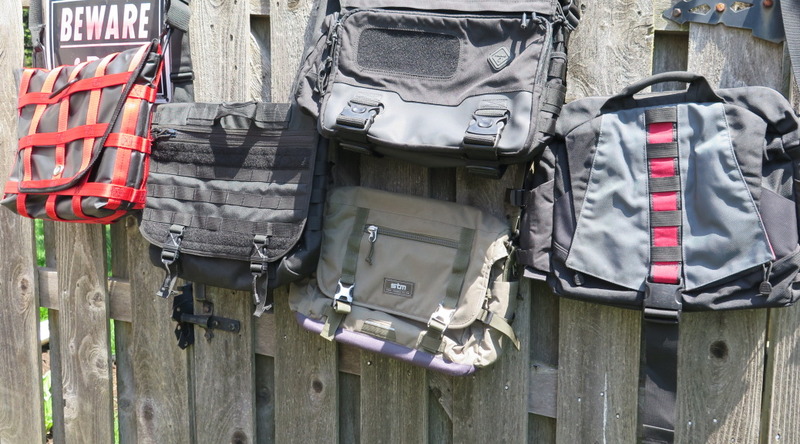 Every “evil black” operator needs at least one to organize and carry his or her every day items. In our messenger bag shootout, we set out to find the best bag for the buck from some of the market’s less-well-known bag makers. Methodology: Each bag was carried daily by a number of reviewers and ranked on our Evil Black Rifle Scale on its appearance, durability, features, functionality, market leadership and value to calculate an overall ranking. 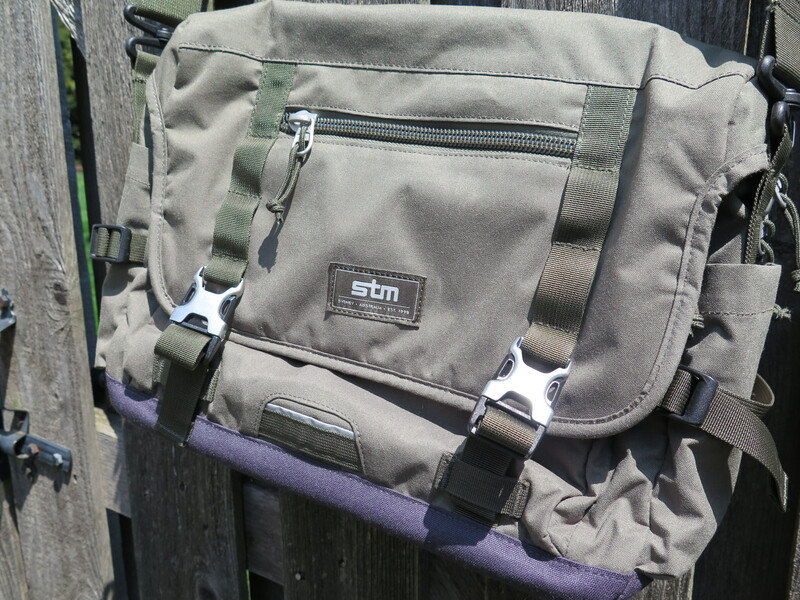 Built like its namesake with better internal organization, the Sherman was a favorite of our reviewers. The Sherman consistently ranked as the best bag in our shootout for internal administration. With a $150 MSRP, the Sherman certainly provides a lot of features for the money. However, if you’re looking for something even the least bit stylish, the Sherman has all the panache of a Panzer. Granted, it does have an external loop field to which a few decorative patches can be attached – sort of like painting nose art on a WWII bomber. T.H.E. Messenger Bag is about as meat-and-potatoes as it gets. It is, almost literally, a blank canvas. The interior is a single, high-visibility yellow open pocket covered in Grid-Lok (MOLLE-like attachment panel). The exterior is also covered with MOLLE-like loops. 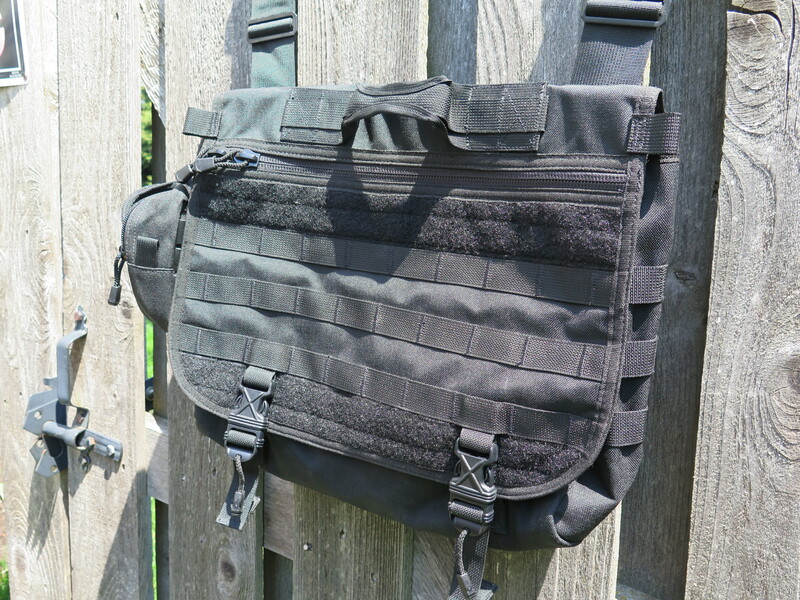 This means that the bag can be configured in a nearly infinite number of ways utilizing Spec Ops’ pouches or virtually any other MOLLE-compatible pouch. The flip side of the “infinitely configurable” argument is that the bag has almost no internal admin until additional pouches are added. One could argue that, at the current price on the manufacturer’s website ($69.95), this isn’t a very big deal. Priced at $115.00, however, the value begins to fade. If you’re looking for a bit more stylish bag for lighter duty, the Trust deserves a look. It certainly won’t (and didn’t ) handle the abuse like some of the other contenders (Durability rating) but it’s a very nice looking bag with decent features and functionality. The main fabric is a 320D brushed poly while the bottom is a 640D reinforced fabric. The inside of the Trust is a light color, making it easy to find items. 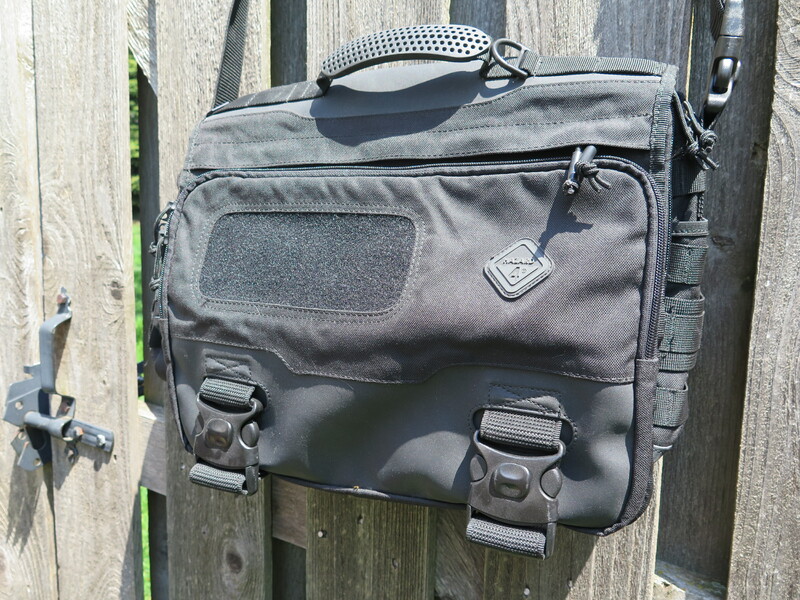 There’s also quite a bit of internal organization, including a padded pocket for a laptop and a smart phone. Don’t misinterpret the rating on the Ego. 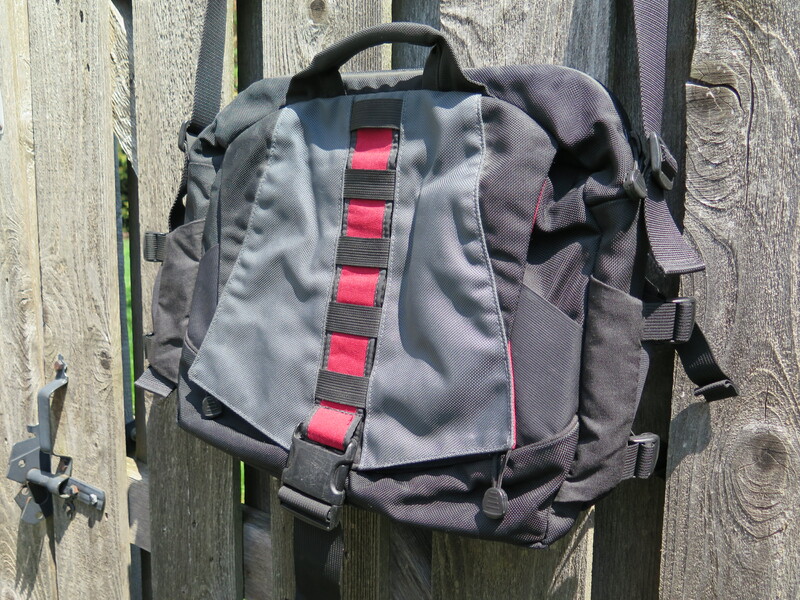 Tom Bihn makes quality gear with some unique features. Unfortunately, our reviewers weren’t overly enthusiastic about either the form or the function of the Ego’s design. The bag, itself, is oddly pear-shaped. This pear shape translates to all the pockets and other organization. 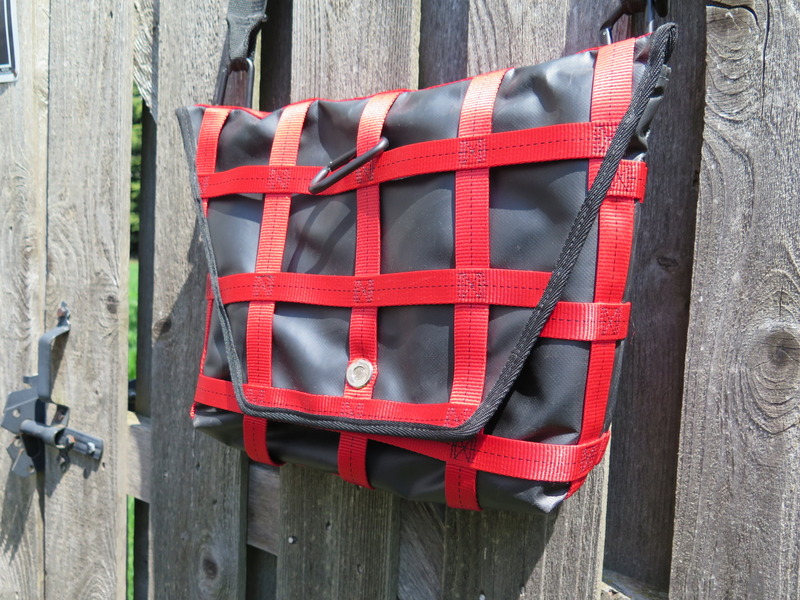 Additionally, the fabric of the Bihn was not as stain-resistant as the other bags in the shootout and the large, flat main buckle seemed particularly subject to scratching. If you’re looking for a durable, stylish bag with some fairly unique features, we saved you the best for last. We’ll grant you that this bag’s looks aren’t for everyone. It definitely stands out – OK, jumps out – in a crowd and we understand that some of our readers are looking for more of a “gray man” approach to life. If you’re not going for the “gray man” approach, we could really only find two faults with this bag – it’s price tag and it’s lack of internal admin. If money is no object and you don’t mind utilizing a pouch or two for admin and you want a bag that stands out, not just because of its color scheme but because of its overall design and durability, we would highly recommend the Vvego Helluva Messenger Bag.